On the eve of the Royal Ballet's Australian visit, Shakespeare expert Alan Brissenden writes on the fruitful collaboration between the Bard and the ballet. In turning Shakespeare’s romantic tragicomedy The Winter’s Tale into a work for the Royal Ballet, Christopher Wheeldon has gone where no one has before. Briefly, Leontes, King of Sicillia, wrongly believes his Queen, Hermione, has been made pregnant by his best friend, Polixenes, King of Bohemia. Hermione is tried, thrown into prison, and is said to have died giving birth to a daughter. Leontes orders that the baby be exposed to die on a foreign shore. But she is found alive by a shepherd, and 16 years later, Perdita (the lost one), is in love with a shepherd boy, Florizel. In fact, he is a prince, the son of King Polixenes. Despite seemingly impossible obstacles, Perdita’s true identity is revealed, everyone ends up in the court of a contrite Leontes, who is restored to the innocent Hermione; far from dying, she has been cared for by lady-in-waiting Paulina. Wheeldon has made a great success in telling this story of insane jealousy, young love and reconciliation. Wheeldon has created rich, challenging roles for his dancers, who seize them with dramatic intensity. In the first cast (as performed in the live filmed version and planned for the forthcoming Brisbane season in July), Edward Watson’s jealous Leontes is frightening in its fierce emotional energy. Lauren Cuthbertson wrings the heart with her fluent solo pleading her innocence in the ballet’s dark first act which is wonderfully contrasted by the joyous second, in a brightly lit Bohemia. Here the choreography is full of jumps and turns, for both corps de ballet and principals, the vivid Sarah Lamb and Steven McRae, who climaxes the scene in a dazzling circuit of leaps. So, there is just one Winter’s Tale, created in 2014. There are many, many more Shakespeare ballets. One of the earliest was another love story, which became the most choreographed of all the plays – no prizes for guessing it was Romeo and Juliet. the first recorded version was Eusebio Luzzi’s in Venice, (1785). By now there have been over 150. Lucky those who saw one of the latest, the Houston Ballet’s gorgeous production by Stanton Welch (2015). Australia has added half a dozen to the list, the first, Paul Grinwis’s Les Amants Eternels (The Eternal Lovers) for the Borovansky Ballet (1951). After Romeo and Juliet the overwhelming favourite for choreographers is A Midsummer Night’s Dream. Felix Mendelssohn’s well-known score was used for the first ballet from the play, one act choreographed for St Petersburg Hermitage’s Theatre (1876). In 1962 George Balanchine chose the play for his first wholly original full-length ballet, and two years later Frederick Ashton created a masterpiece, The Dream. Joan Burnett, a Launceston teacher, used music by Chopin for her Bewitched Night (1950) but the first professional Australian production of a ballet from the Dream, Harold Collins’s for Queensland Ballet (1990), used Mendelssohn. Perth choreographer Chrissie Parrott adventurously introduced small digital fairies flittering and fluttering among the cast for West Australian Ballet (Perth, 2006). Other choreographers drawing on the play include Heinz Spoerli (four versions, 1976-1994), the prolific John Neumeier (1977), who created at least eight Shakespeare-related ballets, Veronica Paeper (1993), Robert Sund (1996), Bruce Steivel (1992), David Nixon 2007) and Liam Scarlett for the Royal New Zealand Ballet (2015). Notable choreographers attracted to The Taming of the Shrew include Maurice Béjart (1954), John Cranko (1969), whose version for Stuttgart Ballet entered repertoires worldwide, Kai Tai Chan (Sydney, 1986), who invested his work with strong social comment by setting the story in China and Australia, and Jean-Christoph Maillot for the Bolshoi (2014). A few (1980), Jacqui Carroll (Queensland Ballet, 1993) and David Bintley (Birmingham Royal Ballet, 2016). More than the comedies, however, choreographers have continually been attracted to the tragedies. Charles Le Picq appeared in his own Macbeth (London, 1785), Pina Bausch developed a Macbeth project in Wuppertal (1979, 1985) and Robert Weiss gained praise for his version for Carolina Ballet (2016). Some have bravely attempted King Lear. The great modernist Martha Graham’s Eye of Anguish (New York, 1950) was considered a failure, the Kerala Kalamandalam Dance Troupe produced an exotic Kathakali King Lear (Kerala, 1989), the ever-inventive Béjart created King Lear–Prospero (Lausanne, 1994) and in Canada Igor Dobrovoskiy had success with his version for Atlantic Ballet (2008). Robert Helpmann’s Hamlet (Sadler’s Wells Ballet, 1942), in which events of the play were rapidly presented as the memories of the dying prince, remains one of the best though there have been many versions since, Stephen Mills’s contemporary adaptation for Ballet Austin (2000), for example, has toured widely. Christopher Wheeldon (Bolshoi, 2007) and David Nixon (Northern Ballet, 2008) have both taken up the challenge of Shakespeare’s most famous tragedy. Othello has drawn many choreographers, and José Limon’s spare, one-act The Moor’s Pavane (London, 1949) was probably the 20th century’s most performed Shakespearian dance work. Why so many Shakespeare ballets? Shakespeare was not only a superb storyteller. He created believable characters whose relationships provide potent opportunities for choreographers. His works invite interpretation, and give scope for an infinite variety of techniques beyond classical ballet. In doing so, dance continues to throw new light on his plays. Alan Brissenden is the author of 'Shakespeare and the Dance', numerous articles on the subject and entries in reference books. The Royal Ballet is appearing at the Queensland performing arts Centre. The company is performing 'The Winter's Tale' from July 5-9. It is also performing Woolf Works from June 29 to July 2. 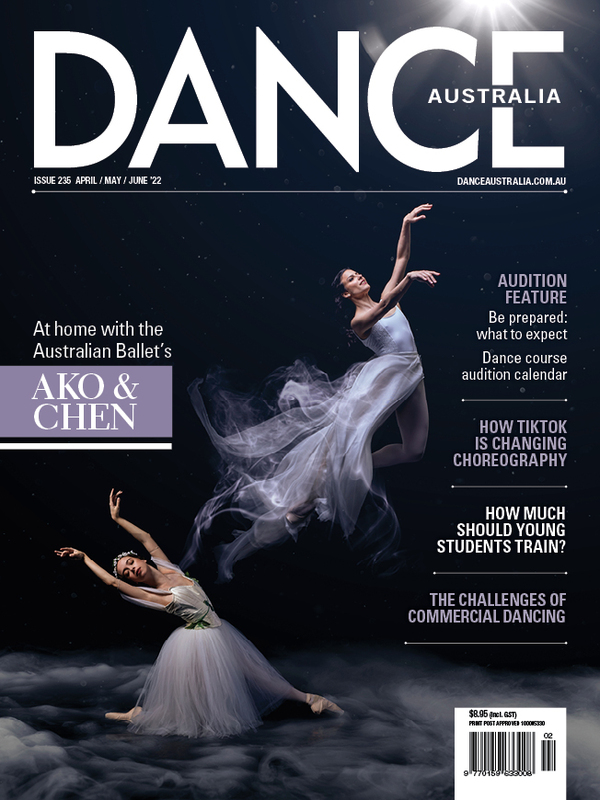 See our beautiful feature article on the Royal Ballet in the current (June.July) issue of Dance Australia! Look out for the new issue at your favourite magazine retailer or subscribe here, or purchase an online copy via the Dance Australia here. If you subscribe NOW you will receive Misty Copeland's DVD and go in the draw to win her autographed pointe shoes. See our offer here.